But Ruswarp's market makes the case for them. 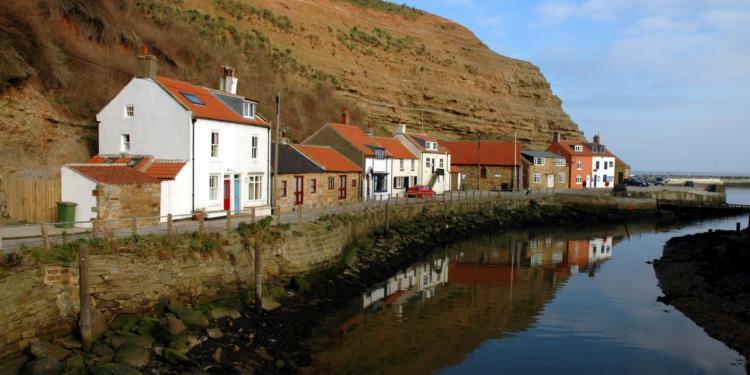 This area of North Yorkshire, cut off by the vast moors and hemmed on the other side by the sea, is packed with small-scale farmers for whom journeys with a few animals to market towns further afield would be too costly and time-consuming. Taking their animals to a village market, where they are likely to be bought for use by local butchers and food producers, is an ideal outcome. For shoppers, there is the reassurance that the person who bakes the pork pie can inspect the condition of the livestock that provide the meat. Little news from the supermarkets in the Whitby area, but Sainsbury's does sell locally-made Shepherd's Purse cheese in its Guisborough store. There is a farmers' market in Whitby every Wednesday; look out for moorland heather honey from the Bees Knees apiary (call Brian Ruffling on 01944 710 670). Set up by Bill Rae to sell fish from Whitby's now tiny fleet of seven boats, the Whitby Catch sells 95 per cent locally caught fish. The variety might include squid, hake, herring or (dive-caught) scallops. Rae designed the shop cleverly, with a glass panel to the processing room so you can watch the fish being butchered. Smoked fish (including kippers) is from fourth-generation Whitby smokers Nobles. Mail order is available for some products. Traditional bakery that makes and sells local specialities, such as Whitby Gingerbread and hand-baked spiced "Shah" biscuits, which reflect Whitby's seaport heritage. Also the place to go for excellent sausage rolls and Yorkshire Brack (fruity tea bread). Botham's has another branch in Sleights. Mail order is available. A thin stream of smokes puffs constantly out of this tiny smokehouse on the hill. Inside, you will find the best kippers in town. Innovative whole foods shop that sells fresh, local, seasonal vegetables and eggs from Pasture Cottage (see below), potatoes from Mickleby and other healthy things. Pretty shop packed with everything from clothes and candles to local food. Look out for Spaunton's Yorkshire milled flour, mead from Lindisfarne and artisan cheeses including Blackstick Blue, Mrs Bells Blue, Swaledale, Yorkshire "Feta", Wensleydale, Sage Derby and Cotherstone. Small butcher that sells locally reared meat (the farm name for "this week's beef" is posted on the wall) and the best pork pies I have yet found in my informal "Shop Local" survey. The pastry, which is properly, darkly cooked, melts in a way that Melton pies never do, and the pork is perfectly seasoned. Proprietor Alastair Jackson's Stilton and pork pie is the first I have tried that remotely succeeds, and his pork and apple is a sweet alternative. Note that if you buy fresh meat, the post office next door sells vegetables. Mail-order pies are also available.